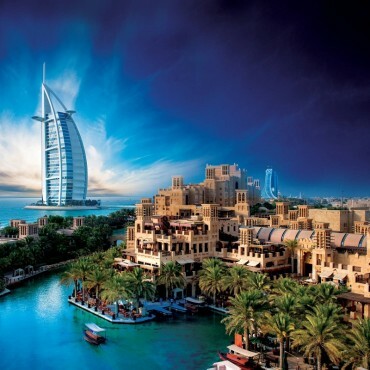 Madinat Jumeirah - The Arabian Resort of Dubai, is a magnificent tribute to Dubai's heritage and is styled to resemble an ancient Arabian citadel. The resort is luxurious and ornate, combining the height of opulence with an overwhelming sense of tradition. Meandering waterways transport guests to all parts of this intricate city of senses. 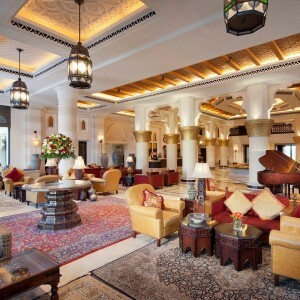 Mina A’Salam, is the gateway property to Madinat Jumeirah, this low rise, 292 rooms and suites grand boutique hotel is designed in the authentic style of 'old Arabia'. It is built alongside an enchanting harbour - around which much of the hotel experience is based. Many of the restaurants and bars overlook the waterways throughout the Resort. 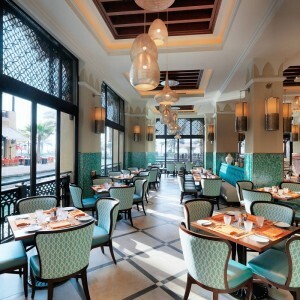 Others face the sea and enjoy magnificent views of the sun setting over the warm Arabian Gulf. 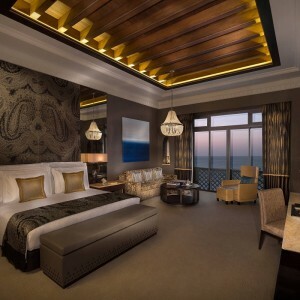 Madinat Jumeirah will be a defining statement in which time and tradition rise from the sands to create a monument of awe-inspiring proportions. The Resort is a recreation of old Arabia and a place where historic beauty meets new-fashioned luxury.